Designing and delivering exquisitel a Modular Kitchen & Modular Workstation furniture. With the immense knowledge and skills in this industry we are involved in offering a well distinguished range of Kitchen Wardrobe. The offered range is mainly designed by our professionals in order to fulfill the various needs and requirements of the clients. 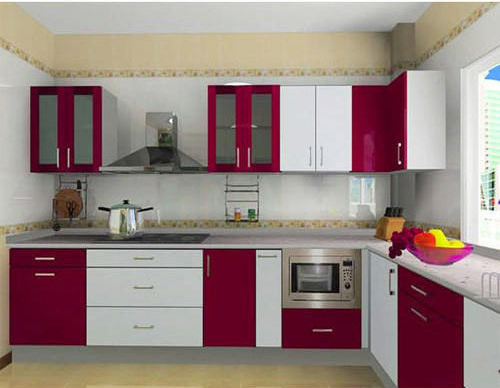 We offer our Kitchen Wardrobe at industry leading rates. Our offered products are highly used in house kitchens, restaurants, cafeterias for their elegant styles, comfort & designs. This product is designed according to the requirements of the customers by our vendors. Offered products could be set up quite easily. Moreover, our products are available at excellent price. At Royal furnitures, we are committed to providing you the finest Modular Kitchens, Modular workstation, Wardrobes and other related furnitures of International Standards with unmatched quality at an affordable price.